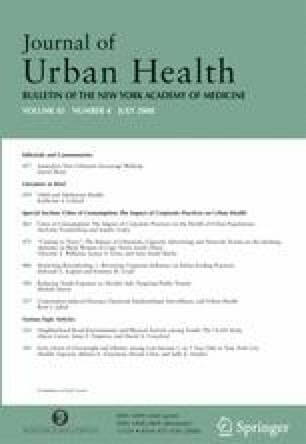 We assessed the feasibility of using organizational network analysis in a local public health organization. The research setting was an urban/suburban county health department with 156 employees. The goal of the research was to study communication and information flow in the department and to assess the technique for public health management. Network data were derived from survey questionnaires. Computational analysis was performed with the Organizational Risk Analyzer. Analysis revealed centralized communication, limited interdependencies, potential knowledge loss through retirement, and possible informational silos. The findings suggested opportunities for more cross program coordination but also suggested the presences of potentially efficient communication paths and potentially beneficial social connectedness. Managers found the findings useful to support decision making. Public health organizations must be effective in an increasingly complex environment. Network analysis can help build public health capacity for complex system management. Public health Complex systems Network analysis Organizational theory Information management. The study was funded by National Library of Medicine N01-LM-1-3521 and National Institute of Nursing Research P20 NR 007799. This work was supported in part by CASOS—the Center for Computational Analysis of Social and Organizational Systems at Carnegie Mellon University. Development of the ORA tool used for analysis was supported by Office of Naval Research N00014-06-0104. The views and conclusions contained in this document are those of the authors and should not be interpreted as representing the official policies, either expressed or implied of the Office of Naval Research or the US government. Cross R. Organizational Network Analysis. http://www.robcross.org/sna.htm. Accessed February 1, 2005. Chang M, Harrington JE. Agent-based models of organizations. In: Handbook of Computational Economics II: Agent-based Computational Economics. http://www.econ.jhu.edu/People/Harrington/HCE9-04.pdf. Accessed December 12, 2006. Association of State and Territorial Health Officials(ASTHO). State Public Health Employee Worker Shortage Report: A Civil Service Recruitment and Retention Crisis. http://www.astho.org/pubs/Workforce-Survey-Report-2.pdf. Accessed November 1, 2006. Doerscher T. Teamwork Design for Success. http://www.chiefprojectofficer.com. Accessed November 1, 2005. Loerch A. Stochastic Models. http://mason.gmu.edu/~aloerch/Model_Intro.pdf. Accessed March 1, 2005. Radzicki MJ. Introduction to System Dynamics: A Systems Approach to Understanding Complex Policy Issues. Washington, DC: US Department of Energy. http://www.albany.edu/cpr/sds/DL-IntroSysDyn/start.htm. Accessed December 1, 2005 [Internet Version 1.0]. National Association of City and County Health Officials (NACCHO). Operational Definition of a Functional Local Public Health Agency. http://www.naccho.org/. Accessed December 1, 2006. Robert Wood Johnson Foundation. RWJF Announces New Investments in the Field of Public Health Systems Research. http://www.rwjf.org/newsroom/newsreleasesdetail.jsp?productid=21928. Accessed January 12, 2007.